Diagnosis and treatment of scaphoid fractures, can non-union be prevented? 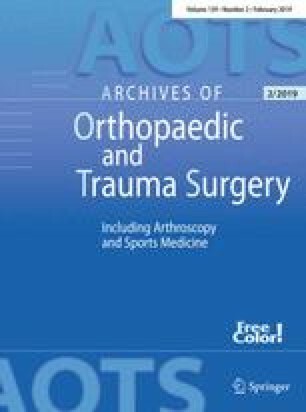 In order to evaluate the diagnostic management of scaphoid fracture, 100 consecutive patients with clinically suspected scaphoid fractures were investigated. If a scaphoid fracture was seen on scaphoid radiographs, patients were immobilized in a plaster cast. If the radiographs were negative or dubious for scaphoid fracture, patients were referred for three phase bone scintigraphy. Then the patient was treated according to the result of the bone scan. A long-term follow-up (minimum 1 year) was performed in order to evaluate the incidence of non-union. In 49 of the 100 patients, a fracture of the scaphoid was recognized, in 29 of whom their scaphoid X-series was positive for scaphoid fracture. In 3 of the remaining 71 patients with negative scaphoid X-series, additional carpal box radiographs showed a scaphoid fracture, while 68 patients were referred for three-phase bone scintigraphy. Of these 68 patients, 17 patients (25%) showed a hotspot on the bone scan in the region of the scaphoid. We found that scaphoid radiographs, additional carpal box radiographs and the bone scan (in radiographically negative patients) in combination with conservative therapy did not lead to non-union at long-term follow-up in patients who were treated for scaphoid fracture. We conclude that when a scaphoid fracture is diagnosed within the 1st week followed by plaster immobilization, non-union of the scaphoid could be prevented.